Only one created - Last chance to buy! Exhibited at the 'Turnpike Gallery' this September (see video below). 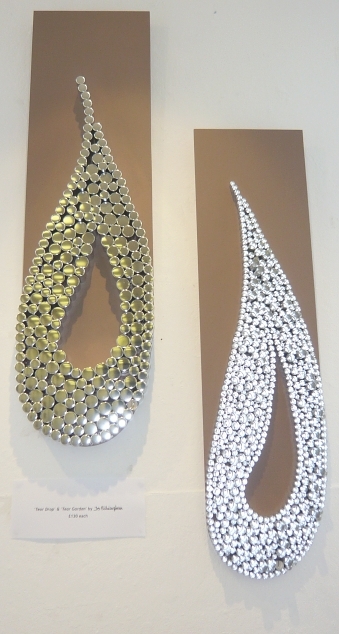 Beautiful teardrop shaped wall sculpture. 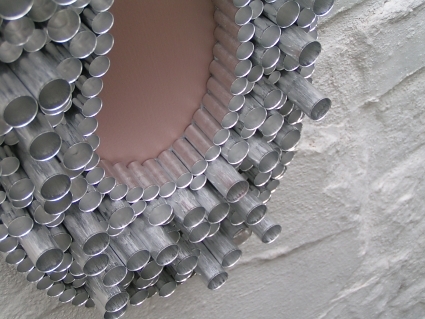 What makes these pieces so effective and exciting is the combination of the varying depths and the surfaces of the materials used. 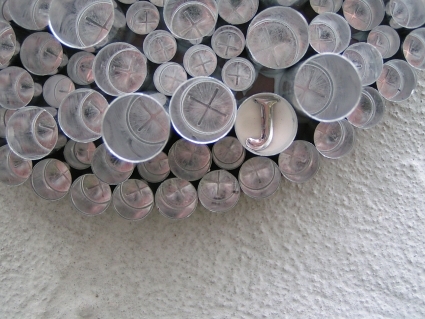 The highly reflective tubes concentrate and accentute light, particularly in ambient settings. The results are exciting, pearlescent qualities that really emphasise the depth and three-dimensional nature of the pieces.